Magnificent tree frog can look quite similar to their close relative, the more widely distributed green tree frog. While their commoner cousin is found over much of eastern and northern Australia, the magnificent tree frog is restricted to the Kimberleys of Western Australia. These two tree frogs can be told apart by the magnificent tree frog's brilliant orange colour found on its limbs, groin and thighs, and the massive glands that appear behind its head. The glands (called parotoid glands) and the orange colouration become more obvious as the animal grows. The glands release chemicals called pheromones, which are used to communicate with other frogs of the same species. While this is the only Australian frog that has been confirmed to produce these pheromones, it's likely that others do too. Magnificent tree frog can look quite similar to their close relative, the green tree frog. 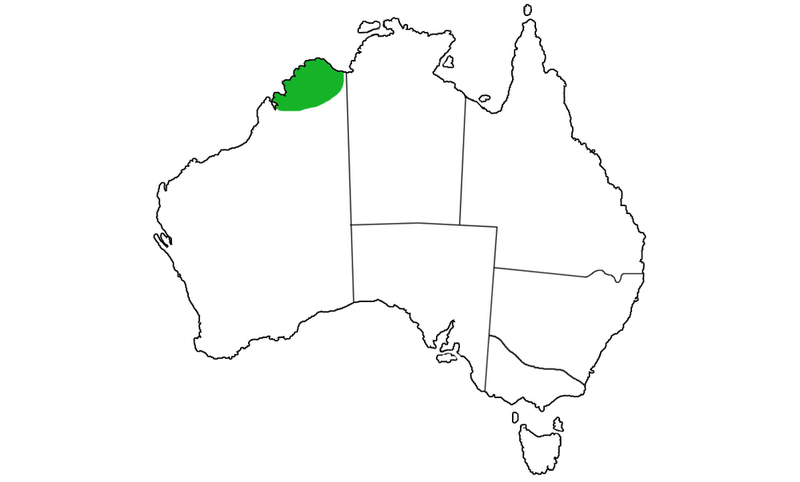 While its commoner cousin is found over much of eastern and northern Australia, the magnificent tree frog is restricted to the Kimberleys of Western Australia. The big, bulging glands (called parotoid glands) found on the shoulders release chemicals called pheromones. These pheremones are used to communicate with other frogs of the same species.